Clean, green propane gas can make a big difference in your quality of life at home, or in the productivity of your business, but only if you have a reliable supply and service partner to support you when and where you need it. 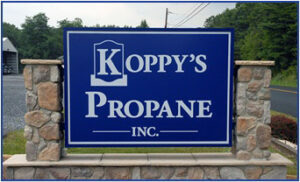 At Koppy’s propane, we’ve been delivering propane gas services – and only propane gas services – to our Pennsylvania neighbors since 1944. When you do one thing for more than 70 years, you get to be pretty good at it. Whether you need high-efficiency propane appliances for your home, maintenance for your propane equipment or propane fuel for your commercial operation or fleet, the friendly experts at Koppy’s deliver quickly and safely to keep you comfortable and on the move.